Aluminium window frames, doors, shutters, canopies, roller doors, balustrades, exteriors and interiors; you name it, we paint it. It’s not your house, it’s your home, and we’re here to help make it feel like a home — one you can be proud of. Your business can get a competitive edge by using our commercial aluminium window frame painting and expert colour-consulting services. At Painting Aluminium Window Frames Perth we do exactly as our name suggests. Aluminium window frames, doors, shutters, canopies, roller doors, balustrades, exteriors and interiors; you name it, we paint it. There’s no doubt about it, when it comes to painting all things metal fixtures, we are the best in the business. 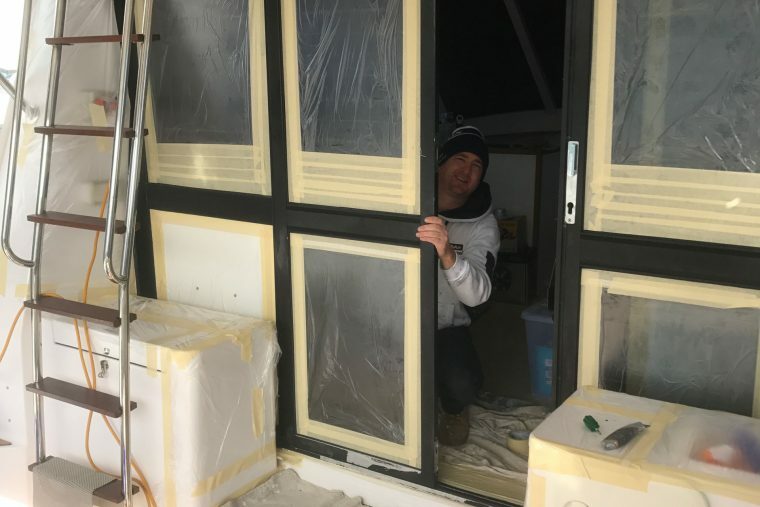 For decades, property owners in Perth have been installing aluminium window frames and fittings to their properties with no way to change the frame’s original colour or giving them the proper maintenance they require. Thanks to Painting Aluminium Window Frames that’s no longer the case. We use the latest painting technology and techniques, and premium quality paints from Dulux to restore your aluminium frames and metal fittings and give them a new lease of life without breaking the bank. Painting your aluminium window frames and metal fittings offers one of the highest returns on investment for property owners in Perth. We’ll give your property a modern look and make it stand out as one of the best on the street, all while raising the value of your property. Getting us to give your frames and fittings a new finish is a cost-effective way to ensure your commercial or residential property stands out, stays in top condition, looks the part, and entices the right renters and buyers. At Painting Aluminium Window Frames Perth we only use the best premium quality materials supplied by Dulux, who guarantee all our work with a five-year written guarantee, so you’ll be able to rest assured knowing your metal fittings will look their best for years to come, even in Perth’s harsh summer sun and salty sea breeze. If you’re after a paint job you can truly be proud of — one that won’t break the bank — call us on (08) 9317 1573 to arrange an obligation-free consultation with one of our expert colour consultants and we’ll have your aluminium fittings looking great in no time. We needed our sea legs for this one. The owners of this luxury boat wanted to restore the sliding doors from the deck to cabin, no problem. Plenty of masking and very thorough prep has resulted in a beautiful set of black gloss doors. My wife and I are extremely happy with the quality of work produced by Peter and his team. The professionalism and attention to detail was exactly what we were hoping for. They even sent out a quality control expert to assess the work upon completion, confirming it was up to their standards… Highly recommended!